You have a possibility to meet these loyal, strong and sure-footed horses in a local farm. With an experienced guide you will go for an easy trail ride with the horses. The guide gives you basic advices how to handle a horse. You have also some time to spend with the horses brushing and preparing them for the ride. Your guide will tell you stories about this great animal. 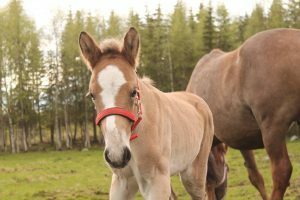 Finnish horses have their important place in Finnish culture and history. After riding you can enjoy a nice moment by the campfire with coffee/tea and Grandma’s bisquit.